Apartment N. 84: It can accommodate up to 7 people, it is rented from 232 € per Night (not per person). 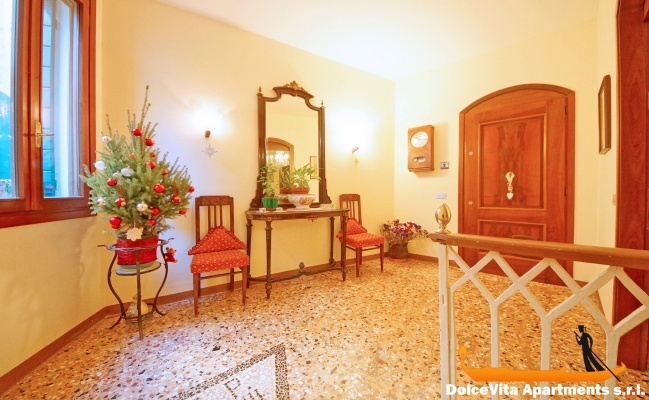 Comfortable holiday home in the historic center of Venice, in the district of San Marco. Composed of 2 apartments this structure can accommodate up to 7 people. 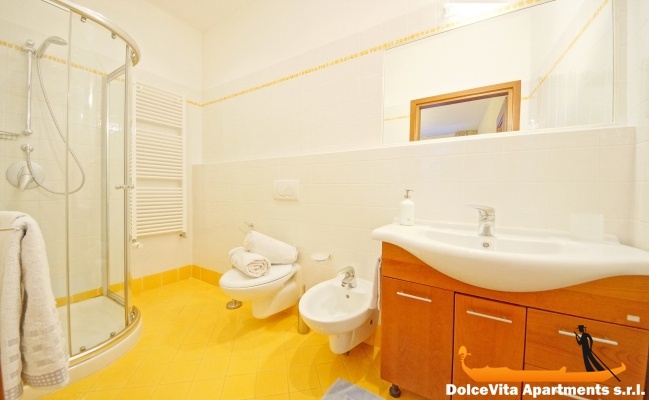 In total there are 2 bedrooms, 2 bathrooms with shower and 2 well equipped kitchens. There are also plenty of comfort and amenities including Wi-Fi, safe, microwave and satellite TV. Both apartments are also equipped with a fridge and a freezer. There are also air conditioning, temperature control and a fan. Pets are allowed and for families with small children is available a cot. 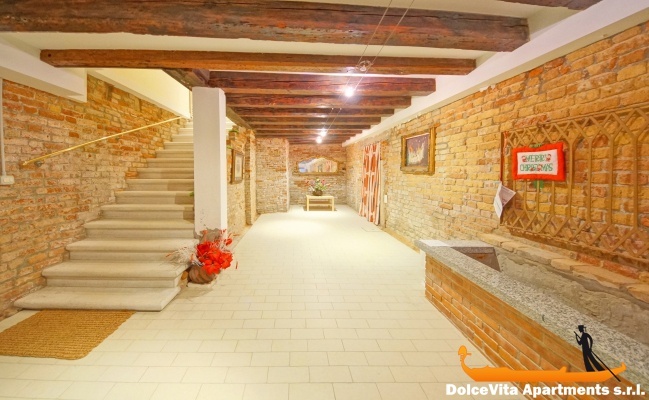 To move and to visit the main monuments of Venice, this holiday home has a very ideal situation. Indeed it is located between the bridge of the Academy and the Rialto Bridge. Within 5 minutes walk you can reach St. Mark's Square, while la Fenice Theater is 150 meters away and the Rialto Bridge is around 700 meters away. The nearest vaporetto stop is Sant'Angelo, located 300 meters from the house. very well received, and well kept apartment with a good location, corresponding well to its presentation in the photos. 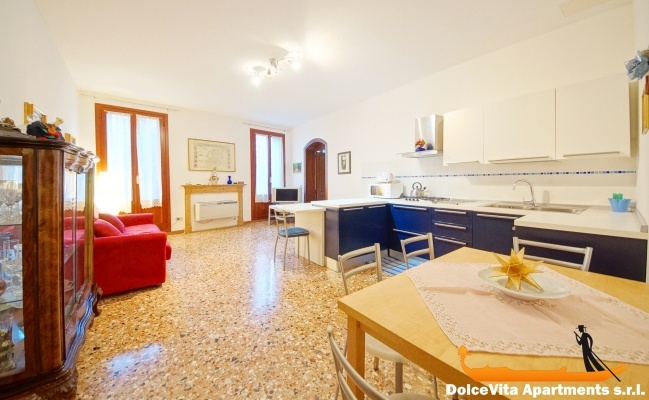 Apartment very well located in the heart of San Marco, very clean and well equipped. Excellent welcome by Alessandro. We recommend it. Perfect apartment; welcome by Alessandro perfect and very central location in Venice near the vaporetto, I'll recommend this address to my friends. We had a lovely stay in apartment 34 to which we attribute 5. Very well placed (particularly in relation to vaporetto and the line to the airport, compared to supermarket 'simply' too), very quiet, well equipped, well heated. Well equipped apartment, sometimes a bit noisy, but that's okay, we are in Venice. We were welcomed very well. We appreciated we could leave our luggage in a room on Monday, being the departure of our plane quite late in the evening. Excellent situation. Linen to improve; good the welcome of the owner. 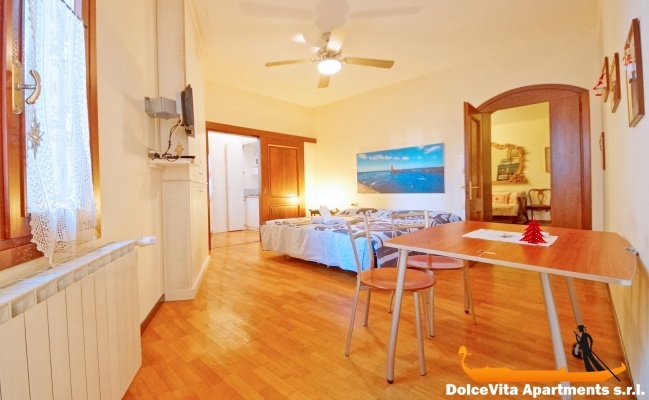 Comfortable, clean, right in the center of Venice. The apartment is perfect, both for its location and for its cleanliness and hospitality. Our stay in Venice was fantastic. The comfort in the apartment was excellent. Arranged, furnished and clean very well. Certainly to recommend. Thanks for all your services. This is the second year that we rent an apartment at Eugénia for the carnival. 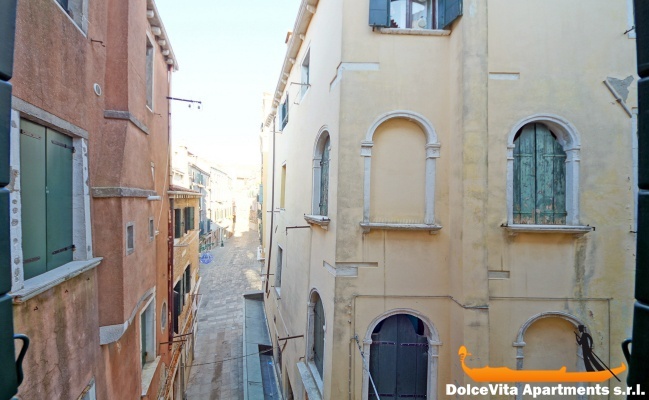 close to St Mark's Square, the Rialto Bridge, the Dorsoduro district and the amenities: food shops and other. The apartment is spacious, very clean, its small fault is the passage through the bedroom to access the bathroom. 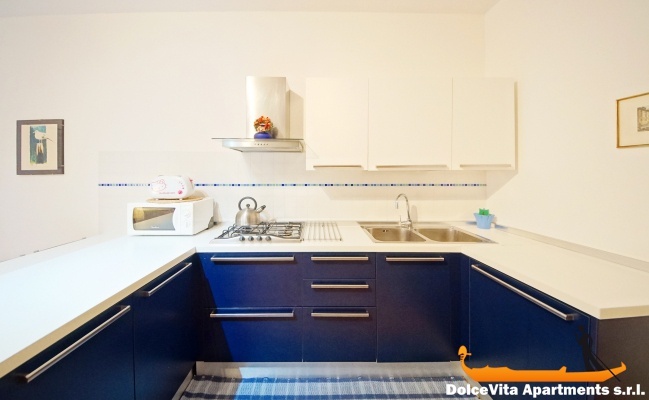 The proximity of the vaporetto and the quiet journey to the apartment are very appreciable when you travel with luggage on arrival and departure. Very cozy, comfortable and family friendly. FRENCH speaking is not very developed there (English and Italian.) But we managed .. The service from the time of making the booking to being met and taken to the apartment was excellent being friendly and most helpful. Any questions we had were readily answered and again most helpful. Very nice and quiet, very good and perfect welcome.We'll come back. Comfortable, large, functional and quiet. 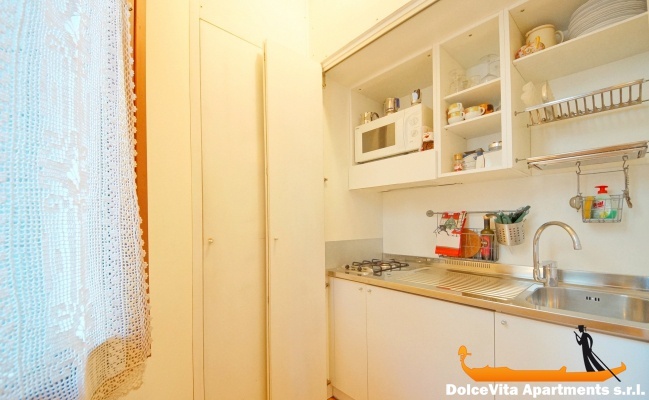 It is only a few minutes from the Rialto bridge and piazza San Marco. We are pleased to answer the short questionnaire. 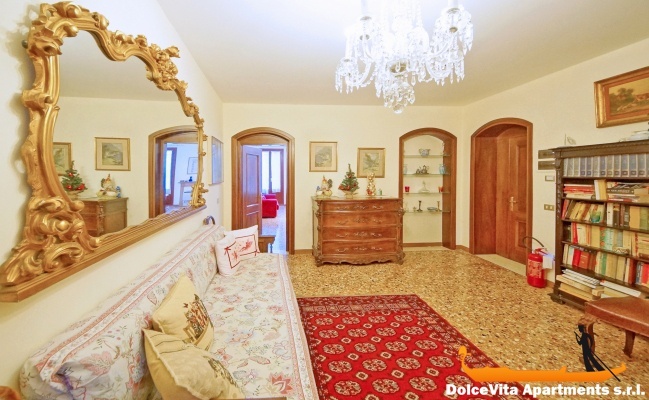 Beautiful apartment, with all the comforts and it is in a central location. Very nice! Very good location and very clean. 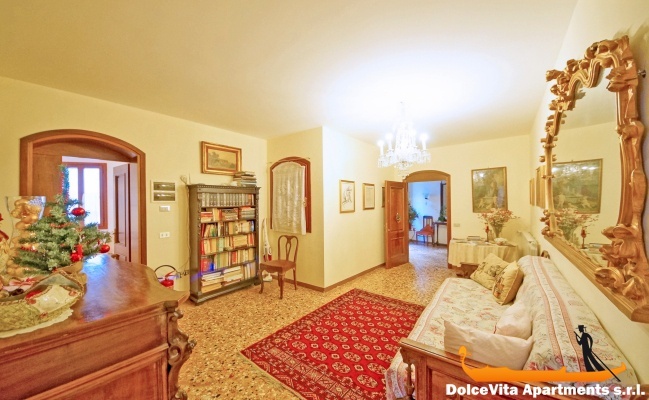 Excellent apartment and highly recommended! The apartment is centrally located, well equipped, quiet, clean and we had no scheduling problem.